My research combines field and microstructural observations with in-situ isotopic measurements and whole-rock geochemistry of metamorphic rocks to unravel the history of complex tectonic terranes and answer questions related to subduction zone processes. In particular, I focus on tracking chemical changes in oceanic crust and lithospheric mantle through subduction and exhumation. The largest of these changes occur during major dehydration reactions during the prograde path and rehydration reactions on the retrograde path. Talc and magnetite-bearing serpentinite from the Kampos shear zone (Syros, Greece). Geologic activity at subduction zones and ocean spreading ridges are crucial drivers of plate tectonics and the recycling of Earth materials. In both these contexts, rising peridotite mantle may interact with fluids from the ocean or dehydrating minerals in the subducting slab. This hydration of peridotite is called serpentinization, and has been suggested to occur in several distinct settings. Historically, these settings have been difficult to reconstruct, particularly from preserved serpentinites on land, but growing literature and geochemical data sets are revealing that immobile elements retain isotopic information about the parent magma of these lithologies. Under the primary mentorship of PhD candidate Emily Cooperdock and Dr. Jaime Barnes, this work undertakes the first geochemical survey of serpentinites on the Cycladic island of Syros, Greece. Results presented at AGU 2016 (San Francisco, CA); manuscript in press at Lithos. Image of 4 Vesta asteroid, generated by NASA from high-resolution imagery acquired during the Dawn mission. This work was conducted during the 2016 Misasa International Student Internship Program (MISIP). 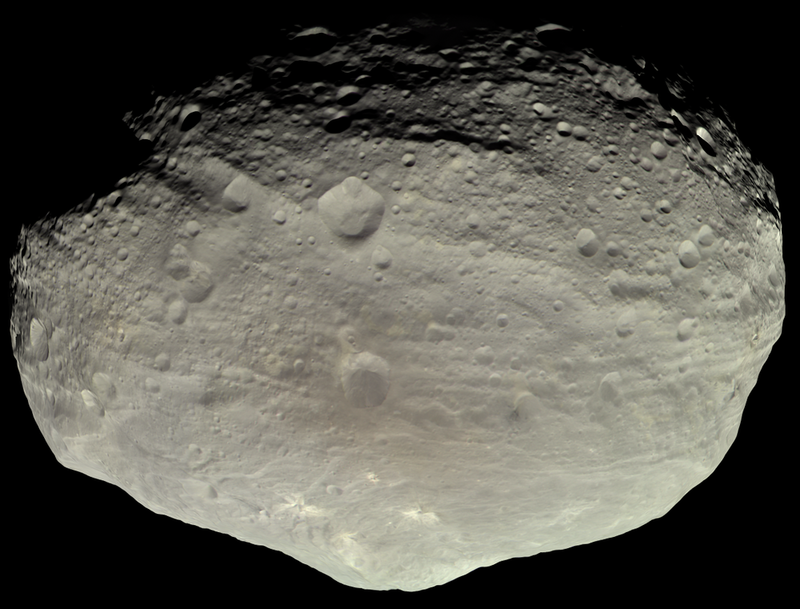 The 4 Vesta asteroid is one of the most prominent non-planetary features in our solar system. A differentiated body, it is believed to be a remnant planetesimal, and thus studying this object may be crucial in developing our views of early solar system processes and planetary formation. With support from spectroscopic measurements from NASA's Dawn mission and pre-existing geochemical data, howardite meteorites are generally interpreted to derive from the outermost surface of 4 Vesta--a brecciated, mixed, and inevitably complex regolith that consists of components from 4 Vesta's differentiated crust as well as exogenous clasts from elsewhere in the solar system. We conducted a full suite of whole-rock and in-situ major and trace element analyses on three separate samples in order to assess the relative heterogeneity and homogeneity of these samples. View from inside a crevasse on the Taku Glacier, Alaska. This work was conducted as part of a collaborative student project during the Juneau Icefield Research Program. Stable isotopes in water--H and O--fractionate due to mass differences. This creates measurable isotopic trends that are visible due to processes such as the movement of precipitation progressively inland from the ocean, across elevation gradients, etc. However, isotope fractionation within glacial ice and snowpack is poorly understood. Our 2014 work undertook the first systematic water isotope survey of the Juneau Icefield and set the groundwork for future surveys in 2015 and 2016. Initial findings presented at GSA 2014 (Vancouver, BC) and public forums in Atlin, BC and Mendenhall Glacier Visitor's Center (U.S. Forest Service).